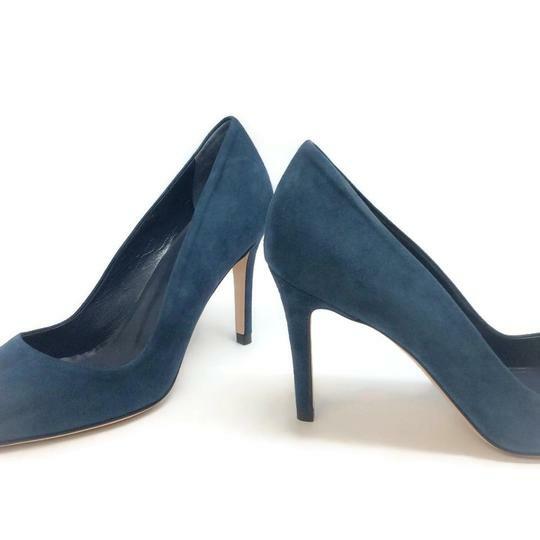 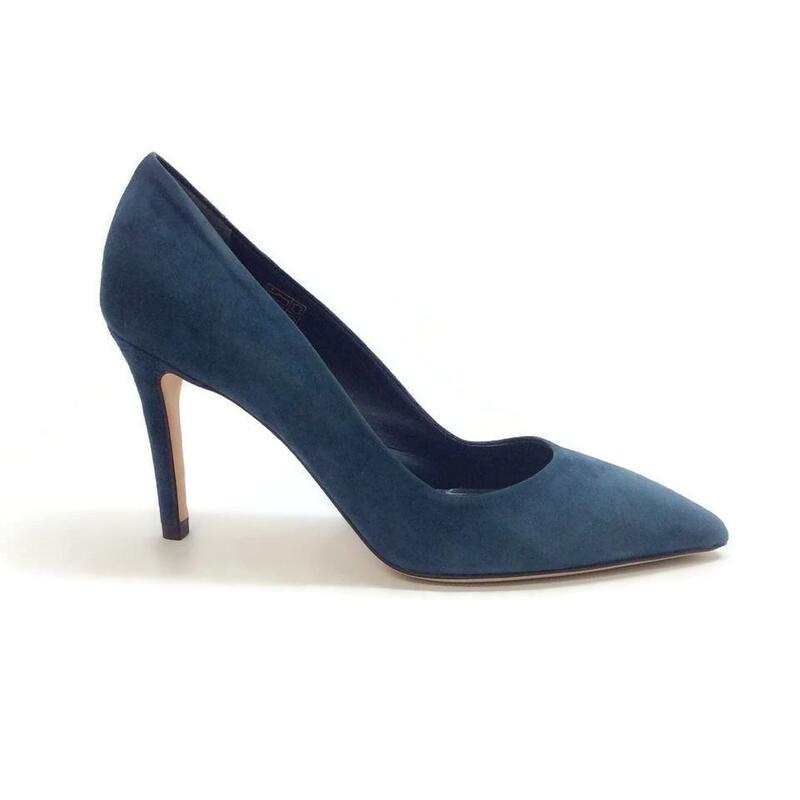 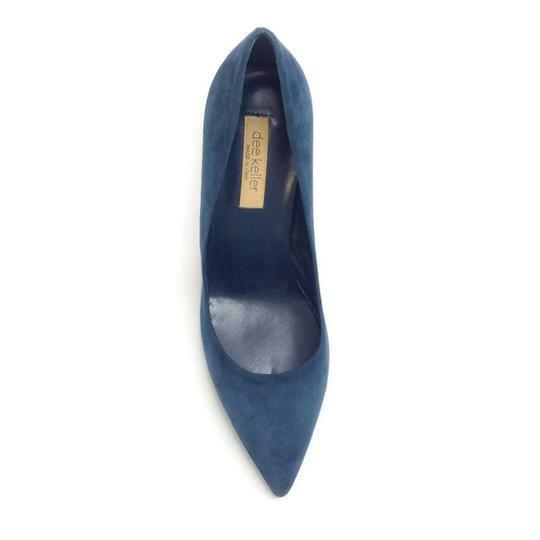 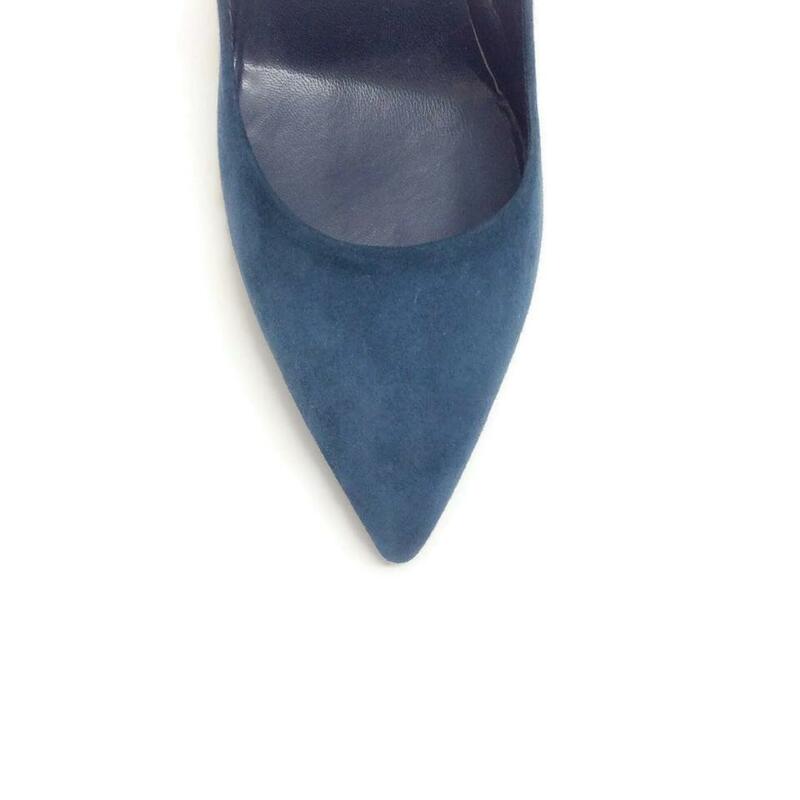 Dee Keller's classic Paige pump is so versatile in navy blue suede. 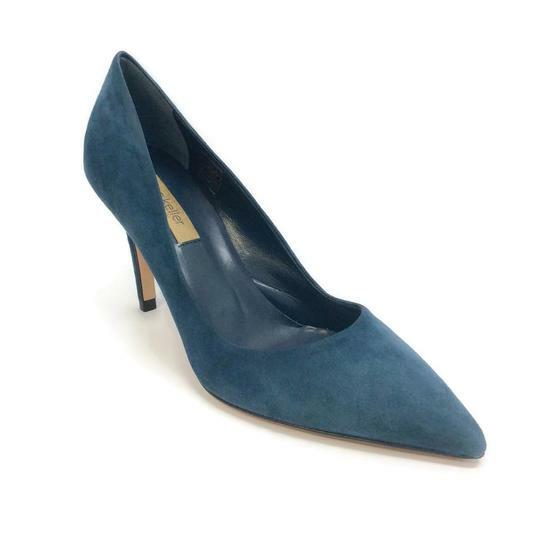 Featuring a slim stiletto heel and a pointed toe, these will compliment any look. 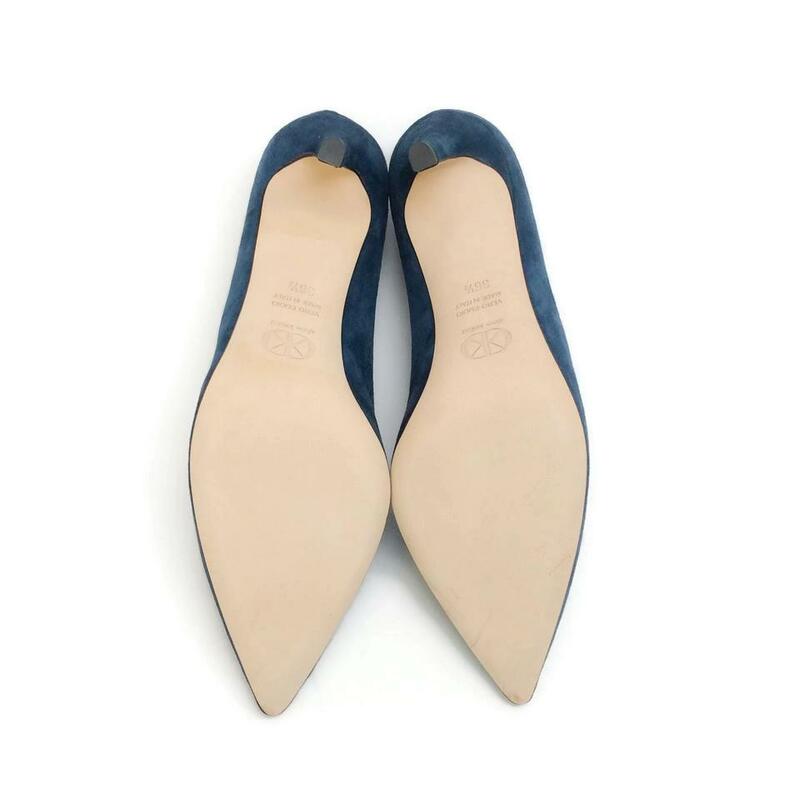 Original price sticker is on right sole.